This medieval village, immersed in the wonderful nature, offers an important astronomic observatory and "slow food" dishes with the typical violet artichoke. 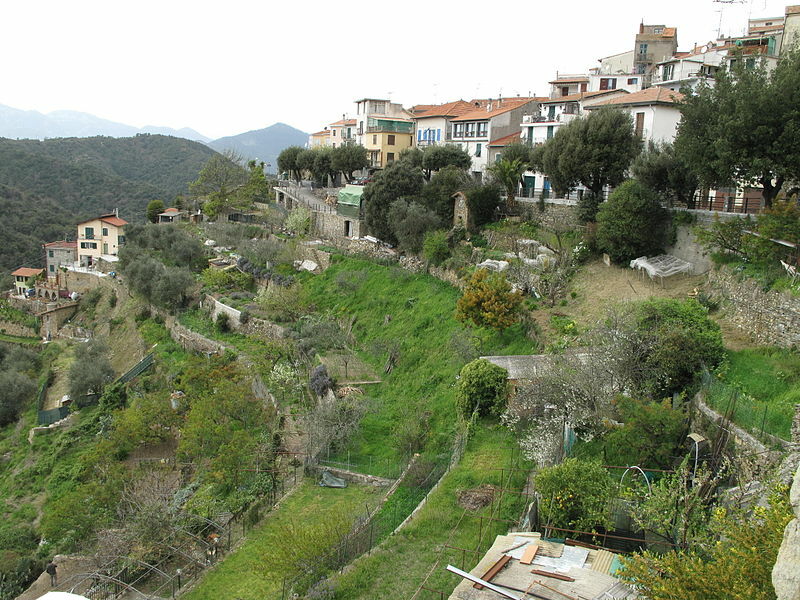 Perinaldo is a picturesque medieval village set on a beautiful ridge 572 m. over sea level and offers a magnificent view to the north towards the Ligurian Alps, south to the sea, through terraces with olive trees, prized vineyards, mimosas and brooms. Built on the ruins of an ancient "fort" by Count Rinaldo of the Counts of Ventimiglia, came under the rule of the Doria with a deed of 1288 and was thus included in the estate of Dolceacqua. 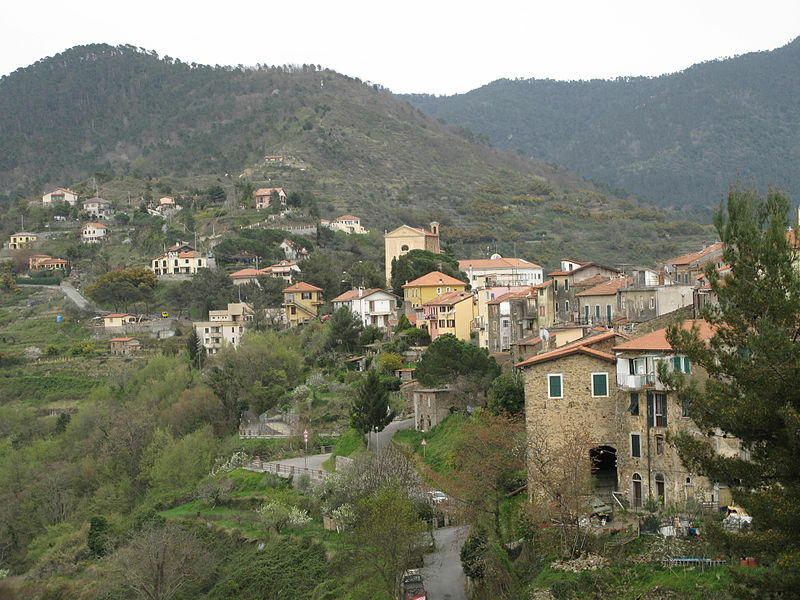 In the struggle between the Grimaldi of Monaco, Guelfi (Tyrians), Doria and Ghibellines (Trojans), Perinaldo has always been the scene of fierce battles and suffered hardest sieges from Guelfi. Among the various events Doria were always able to maintain control over the territory of Perinaldo, but only their submission to the Savoy, in the second half of 1500, allowed some stability to their fiefdoms, the four castles of the Marquis of Dolceacqua. Since then Perinaldo remained in the orbit of the Savoy almost continuously until the invasion of the Gallo-Hispanic. Subsequently, in 1797, following a visit of Napoleon, who stayed, it seems, in the Maraldi Castle and Allavena House, Perinaldo was elected chief town of Canton. At the fall of Napoleon it returned to the Savoy and thus the Doria. The Congress of Vienna restored the borders of the occupied territories giving back to their rightful owners; Perinaldo in 1818 became part of the Province of Sanremo.The Doria domain ended with the coming of the Kingdom of Italy in 1861, although until 1890 two generations of Marquis maintained privileges on mills and on 20% of the olive's land. In 1897 Perinaldo was reached from the carriagiable road and connected to the coast. Gio.Domenico Cassini (1625 - 1712), astronomer at Bologna and Paris, founder of a dynasty of distinguished astronomers and cartographers. Giacomo Filippo Maraldi (1665 - 1729) and Gian Domenico Maraldi (1709 - 1788), astronomers and cartographers in Paris. John Thomas Borgonio (1628 - 1691), cartographer, engraver and blazonator of the Duke of Savoy. THE MUNICIPAL ASTRONOMIC OBSERVATORY "G.D.CASSINI"
run by Stellaria, is located within the premises of the Municipality of Perinaldo. Next week an article dedicated to this important scientific site. Built on a former building of the eleventh century, was expanded between 1465 and 1480 by the hands of the antelami masters, allocated to Taggia. It is documented in Perinaldo, in 1475, the presence of the architect Filippo from Carlono, to whom has been attributed the design of the convent of San Domenico (Taggia). In 1495 the façade was probably finished, as indicated from the lintel carved stone, placed over the side entrance to the right. In 1660 it was completely renovated to the new baroque style, by architect Francesco Maraldi, originally from Candeasco a fraction of Borgomaro, and it is then that the Romanesque columns of stone, were covered by heavy plaster and opened new side chapels. In 1672, following the genoese occupation, the bell tower was damaged, but only in 1768 was demolished and rebuilt on the spot where it is nowadays located. In 1829, the community makes a gift of a precious organ built entirely on site by master Pistoia Joshua Agati and children, considered the first example that the master Pistoia placed in the diocese of Ventimiglia-Sanremo. In 1887, following the earthquake that struck Diano Marina and demolished Bussana, the façade and the apse of the parish of Perinaldo were severely damaged, while the tower was cut off the tip. In 1966, under the direction of prof. Nino Lamboglia, was made a radical restoration of the interior to bring the building back to the original Romanesque appearance. Inside it preserves a precious wooden crucifix dated between the sixth and the seventh decade of the fifteenth century, attributed to an artist who has worked in Western Liguria and has produced the work in the church of Our Lady of Consolation Ventimiglia . 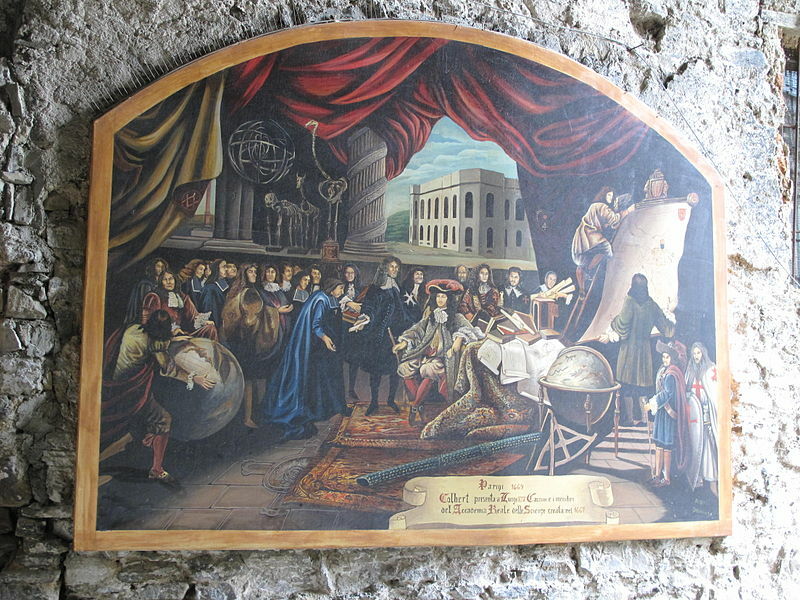 Precious is also the canvas donated by the astronomer Giovanni Domenico Cassini for the altar of Suffrage in 1672. This work, from the school of Guercino, was attributed to the hand of Bartolomeo Gennari. The current church was built in 1580 to replace the old headquarters, already present in the early 1500s, because it was deemed too small and narrow to contain all the members of the Society of St. Benedict. The new building was erected by the will of the community and with permission of the landowner Stephen Doria. The church that now bears the name of St. Anthony of Padua was built in 1641 at a time when the fathers of St. Francis of the Reformed Minors of the Province of Genoa, obtained permission to found a new monastery and renovate the old church of San Sebastiano, already present at the beginning of the sixteenth century. It houses several paintings, including a Nativity attributed to Bartolomeo Puppo and a St. Sebastian of Carrega School. Are still present in the floor, the tombstones belonging to local families. 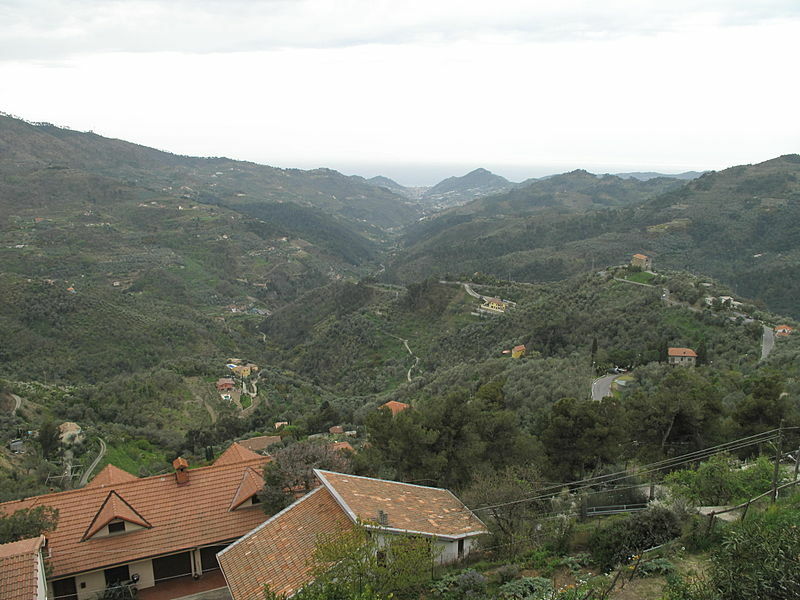 Located along the recently paved road that runs at the foot of Mount Caggio. From the clearing in front of the church, there is an extraordinary view over the village. Built between 1602 and 1612 on the hill called "de lo rei", not far from the remains of a pre-existing oratory. The popular tradition wants it "oriented on the meridian" at the suggestion of Giovanni Domenico Cassini. As a matter of fact, there still isn't any document certifying the date of its construction, nor the participation of Giovanni Domenico Cassini. In addition, the sanctuary is not currently oriented on the meridian, but differs for about 6 ° 30 '. The sanctuary is also called the Madonna del Poggio dei Rei since, according to local legend, who confessed to the priest's sins or misdeeds, was sent here to atone for their sins. Also according to the stories the local penitent was to remain kneeling from sunset until morning above the corn shed at the door. Inside the church was built in 2007 a large sundial in the darkroom. The solar image enters the church by a small hole (pinhole) of 15 mm in diameter and looks at solar noon on a meridian line that runs through the whole church. The sundial of the Visitation is one of the largest existing and the largest built by the late nineteenth century. Of ancient origin, above the village of Negi. Built in the hamlet of Suseneo. preserves the taste of ancient traditions that, while reflecting on the one hand the "poor cuisine" (for instance "meesana" stuffed zucchini flowers, served as a hot appetizer), has learned to satisfy even the other tastes of past nobility 'that were staying here (Doria), in their coveted hunting summer residence (as the Ligurian rabbit), not to forget the cod fish of olive millers (at which never failed her Majesty the golden Olive Oil, in which always dies the stockfish adorned by the taggiasche black"berries", olives) and the artichoke. On the table triumphed then the famous "pan", a round bread bun and where dominated the center the best "Rocense" (or Rossese wine). 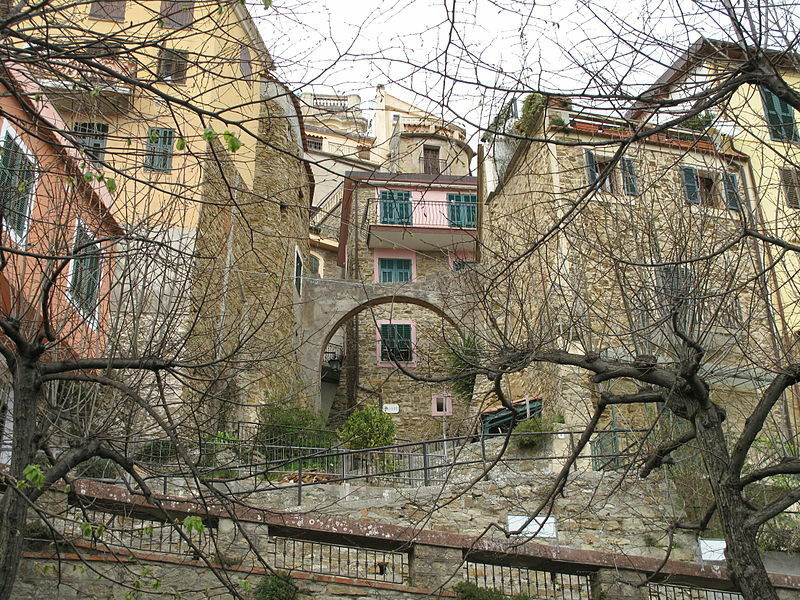 Perinaldo closes the valley of Crosia, in the western end of Liguria. A valley full of olive groves, the cultivation of which is mentioned in documents of the twelfth century and where, apparently, the Minor Friars of St. Francis grafted the first taggiasca olive trees. Less known, however, is the production of an excellent artichoke, imported two centuries ago from the nearby Provence and acclimatizing itself very well in this area. This is the French "violet" introduced, according to legend, by Napoleon Bonaparte. It seems that during the Italian Campaign of 1796, after a stop at a noble family of Perinaldo, learned that in the area, the excellent purple artichokes grown in neighboring Provence, weren't known, Napoleon later has made a gift of some seedlings to the Perinaldesi. From then on the inhabitants of the small town spread it in local gardens. The artichoke of Perinaldo, which is grown only here and in Provence, between 400 and 600 meters above sea level, is thornless, tender and has no beards inside. It needs good drainage and not surprisingly it is often found at the edges of the stone walls. It resists harsh temperatures, tolerates drought and needs no chemical treatments, almost like a wild vegetable. It is harvested from May to June. The Perinaldesi are very jealous of this rarity, and perhaps that is why, not only for the exposure, the characteristics of the terrain and the local microclimate, the violet artichoke of Perinaldo is grown only in this small town and not in neighboring countries. It is eaten raw in salads or cooked as an accompaniment to meat or game. Traditional recipes of Perinaldo have it partaking in pancakes, in the oven baked with parmesan cheese and mushrooms, or in simple pancakes with garlic and parsley. 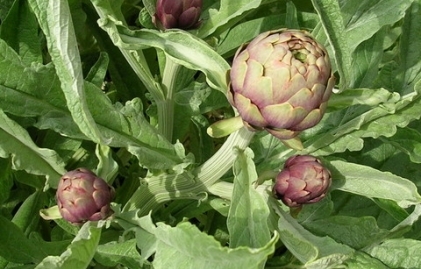 Perinaldo Artichokes can be preserved in oil and consumed throughout the year. It is a "slow food" protected product. Here the typical recipe for the Torta verde (green pie), that can be made with artichokes.